Desi Smith/Staff Photo. 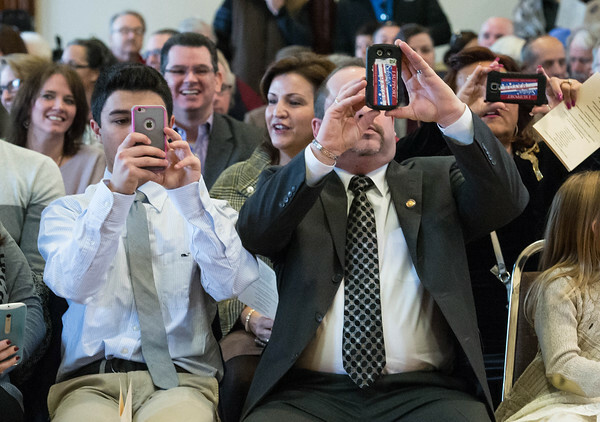 A.J Romeo 16, Mayor Sefatia Romeo Theken grandson, and her husband Matt, take photos during the Inauguration Ceremony Friday afternoon at the Kyrouz Auditorium at City Hall. January 1,2016.